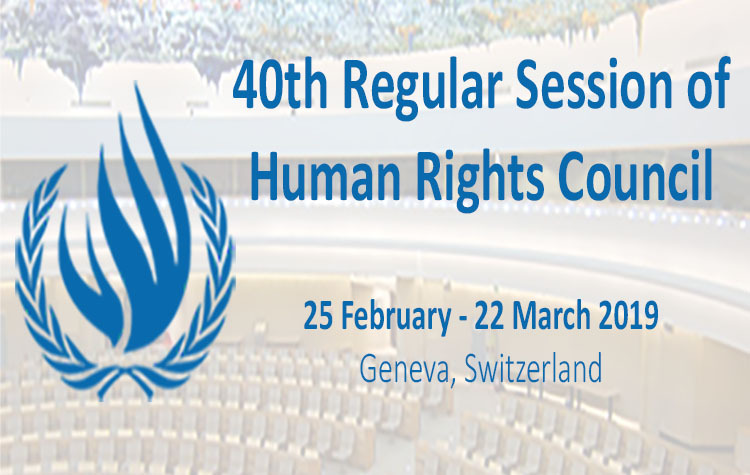 (Bangkok/Geneva, 28 March 2017) – The human rights situation in the Philippines drew significant amount of attention at the 34th regular session of the UN Human Rights Council which concluded on Friday. The UN High Commissioner for Human Rights as well as several states expressed concerns on extra judicial killings, moves to reinstate the death penalty, proposals to lower the minimum age of criminal responsibility and ongoing threats to human rights defenders. It was mentioned at several different debates during the course of the four-week session. Altogether the European Union, Australia, Canada, Czech Republic, France, Iceland, Ireland, Montenegro, UK and U.S.A and several NGOs expressed concern on the Philippines. FORUM-ASIA called for the Philippine government to cooperate with the UN and international experts and launch a credible and independent investigation into extrajudicial killings. One year ago, the Philippines, an elected member of the UN Human Rights Council, was not a regular subject of the Council’s debates. However, there has been increasing attention on the Philippines since the June and September 2016 sessions following serious allegations of killings as a result of the government’s ‘war on drugs’. “It’s clear from this last session of the Council that in the last one year, the Philippines has gradually moved into the limelight and become a country of serious concern in the eyes of the international community,” said Rosanna Ocampo, Programme Officer at FORUM-ASIA.